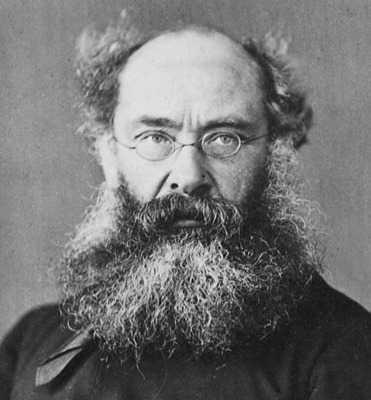 Today is the birthday of Victorian novelist Anthony Trollope (pronounced TRALL-up). Does he look gruff and scary to you? That’s some hair, eh? I’m surprised his eyebrows aren’t more dense and textured. If you’ve hung around Magistra Mater for a while you’ll recollect my pleasure in Trollope, whom I just discovered last year. When his name was mentioned in the same sentence as Jane Austen by a dear and respected friend, I determined to make myself acquainted with him. He is my light reading, my Juicy Fruit, my slug-on-the-sofa all day read. This is my sixth post about Trollope (he has his own tag on this blog) and I can assure you that I hope to add many more. I have a few of his books on my shelf patiently waiting for me to get through the Medieval/King Arthur/Dante business so I can read them. Hold on, dear books, summer is coming! Quotes is what we want. The first one is such a good reminder to keep up the drip drip of our daily work. Thank you, Mr. Trollope. Thank you very much, sir. no short cut to the acquirement of any art. This entry was posted in Uncategorized and tagged quotes, trollope by alivingpencil. Bookmark the permalink. Headed to the library now…to pick up one from each birthday writer: Trollope, Grafton, and Warren….on account of your entry and writer’s almanac (I listen to NPR on my office computer). Carol, before you know it I am going to be reading Trollope too. I had never felt that interested in reading him, and I rarely read fiction anyway. But I do believe I shall have to check to see what our library can offer. Hooray for libraries and their patrons!! I don’t know (or remember) what Carol has mentioned before, but since Trollope has done a series, Dana, you might want to be sure to get The Warden first. That’s the only Trollope I’ve read so far, but I loved it. I’m not one to wax eloquent about books because I’m just not a very eloquent person, but I think his books are ones to savor. You don’t feel the need to hurry through them because they are so enlightening and full of such understanding of human nature that they’re beautifully written. The excellence in the writing is conveyed, at least in part, through the wonderful characterizations. I really do want to read more, but I keep getting sidetracked by the reading for school. I am having my kids read The Warden at the end of this school year, and so the girls and I may go on to reading Barchester Chronicles this summer and I’ll call it “school” and feel compelled to read them for “school.”Carol–I’m going to State College between May 12-19 to visit my son and daughter-in-law! I hurt my back a couple of weeks ago – lots of time doing school on the couch, so I ordered a Trollope (Framley Parsonage) and an Elizabeth Goudge (The Little White Horse). I needed something restful and calm. The Goudge was wonderful! I’m still awaiting the Trollope. My back is much improved – not having to lie down as much – but I’ll be sure to ‘need some rest’ when the Trollope arrives. My quote book is filled with Trollope. Thanks for these – I’ll add them this afternoon. Patti – thanks for the good suggestion to start with the Warden. I have thoroughly enjoyed each succeeding book in the Barset Chronicles. The next one is on hold because of school here too. Maxine – First off, I’m so glad your DH is home from Africa. How funny that you just started FP. If you liked Doctor Thorne I double guarantee you will like Framley Parsonage. Lynne – sorry about the back. Elizabeth Goudge: ahhhhh. I read The Little White Horse when one of our most favorite librarians in the world lent me her personal copy. It was magical and full of wonder. I think my favorite Goudge is The Scent of Water. Trollope is imminently quotable. I wonder why he isn’t better known?